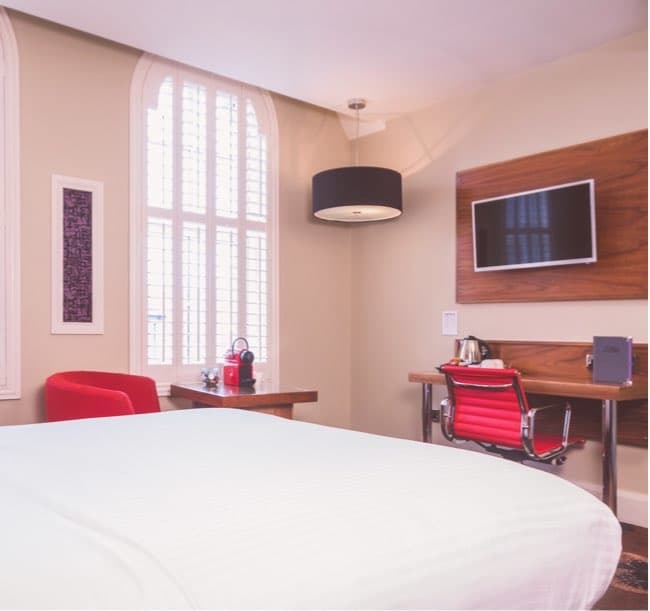 Why not upgrade to a Deluxe room with the added extras including Nespresso Coffee Machine and a security safe. 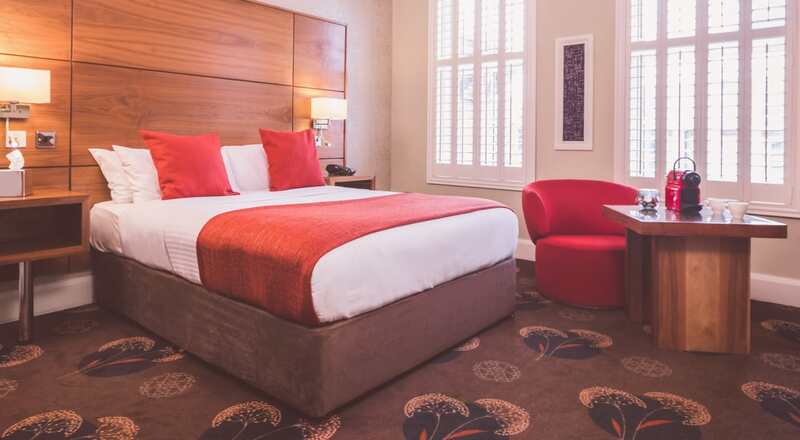 With an emphasis on luxury and comfort, our stylish deluxe rooms offer all that you need for a great stay in Belfast. Sink into your haven of serenity with super comfortable beds dressed with crisp, white linen. 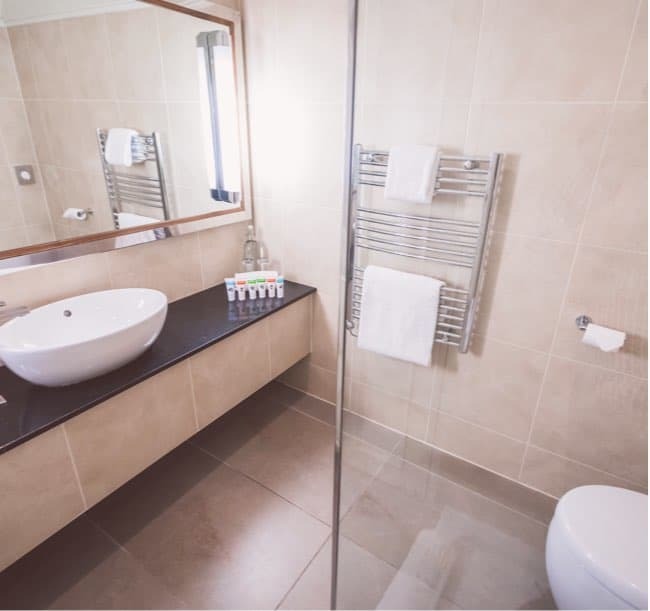 Each of our sleek Villeroy and Boch bathroom suites boast granite tops, heated towel rails, anti mist mirrors, luxury toiletries with large fluffy towels, walk in drench showers and/or sumptuous baths – offering a fabulous, refreshing experience. 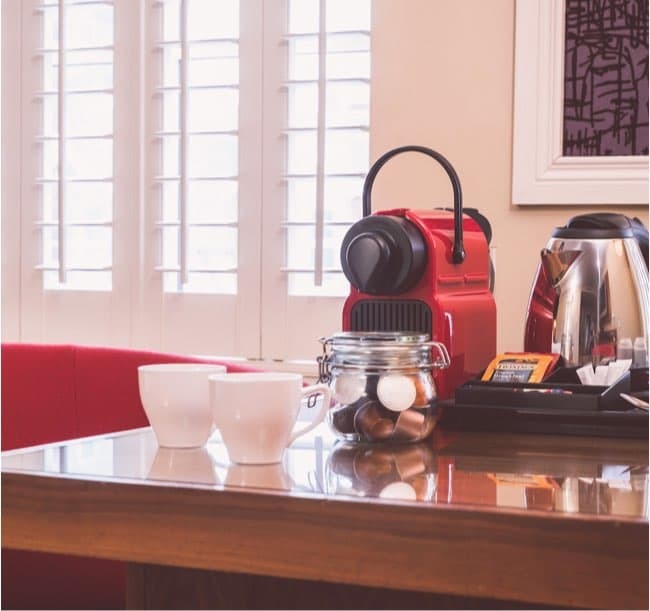 All guest bedrooms include split air conditioning and tea/coffee making facilities. Should you choose to work, rest or play, we’ll make sure you enjoy your stay at Dukes at Queens.